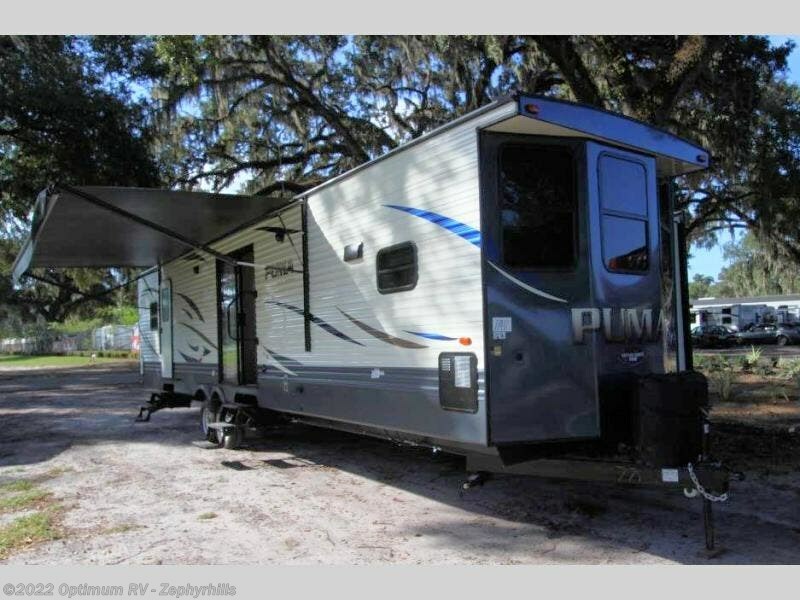 If you have been dreaming about having your perfect vacation home at your favorite location then this Puma Destination 39PFK is the answer. 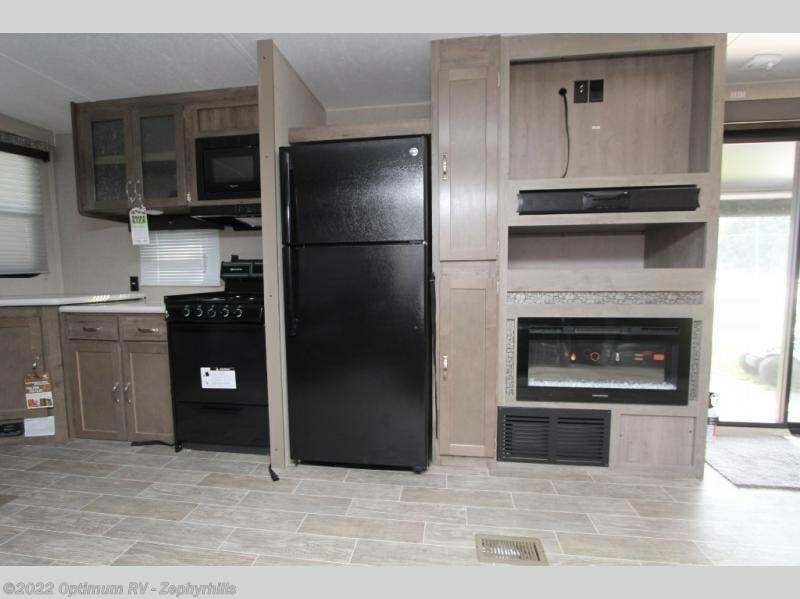 You will have all the kitchen amenities needed including a residential style refrigerator so you can stock up on food and drinks each time you head out. 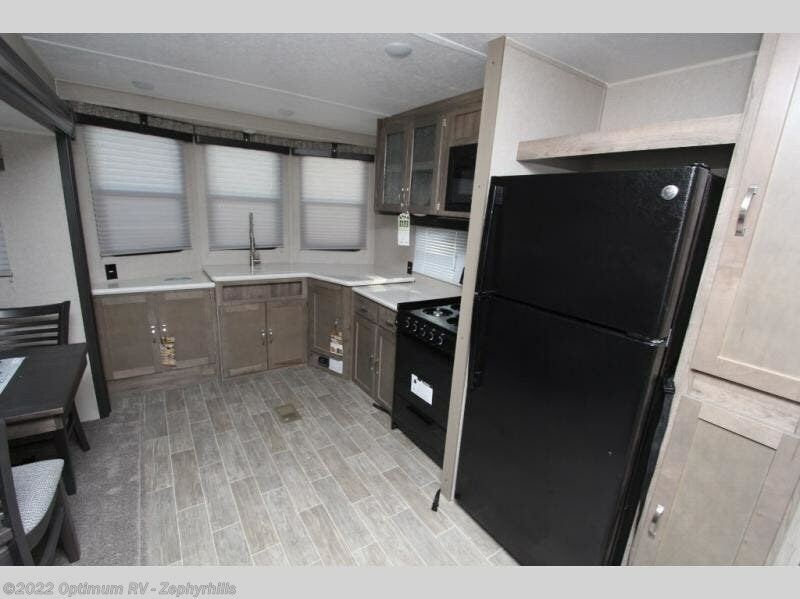 The front kitchen layout provides a large area to prepare meals, and a dinette to dine at. 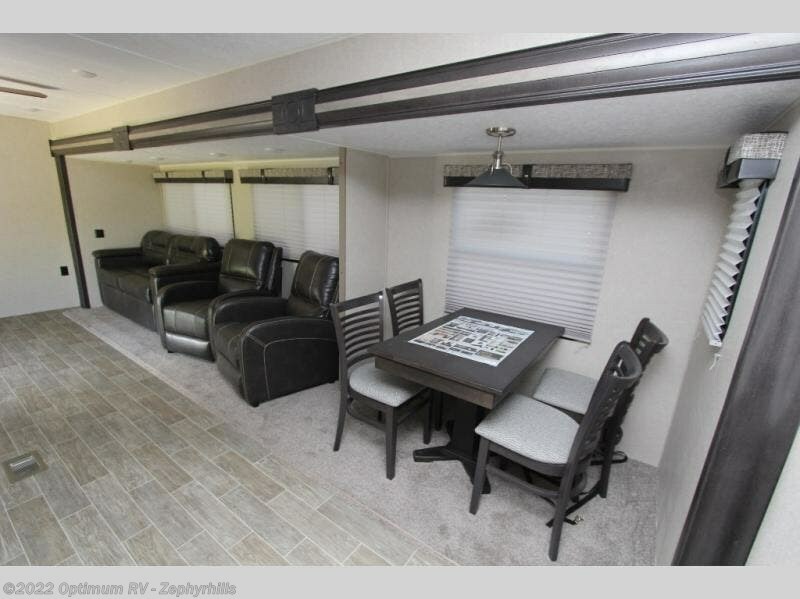 The designer window treatments offer an "at home" feel, and the patio door offers natural light inside. 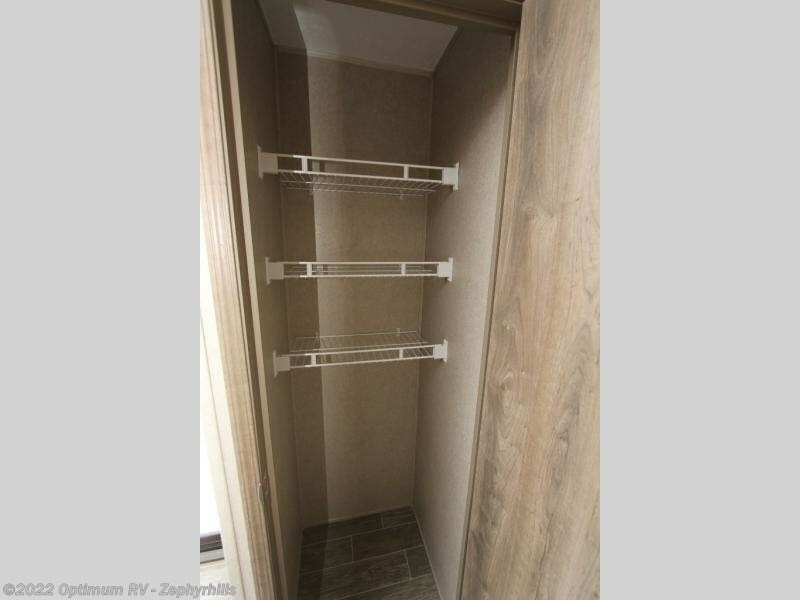 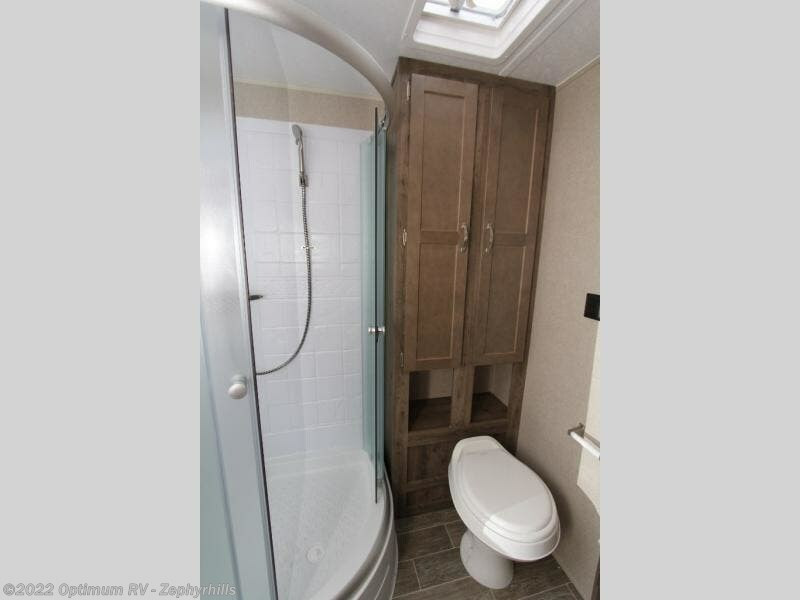 You will enjoy the convenience of dual sinks in the walk-through bathroom when getting ready for the day. 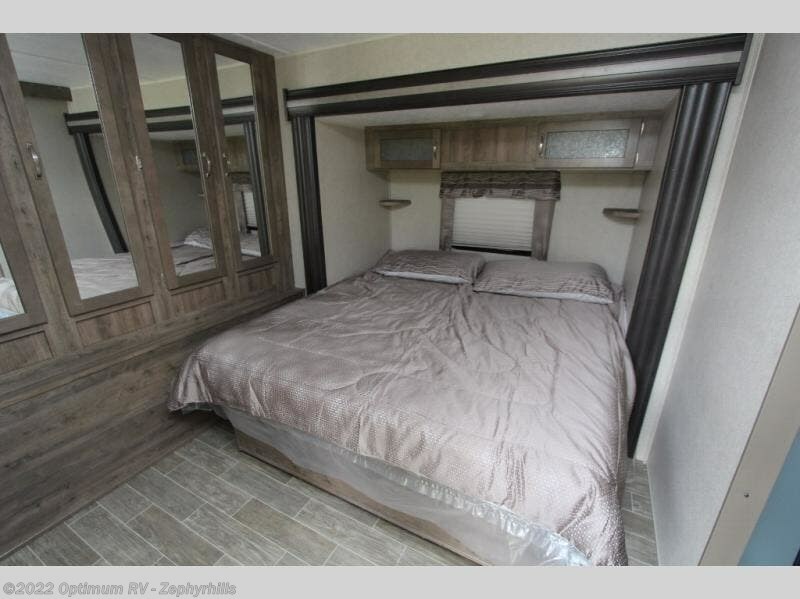 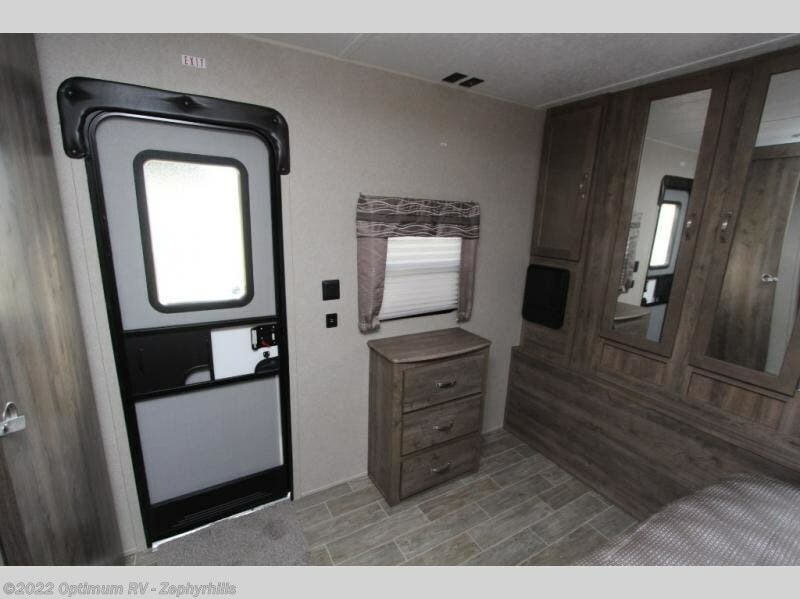 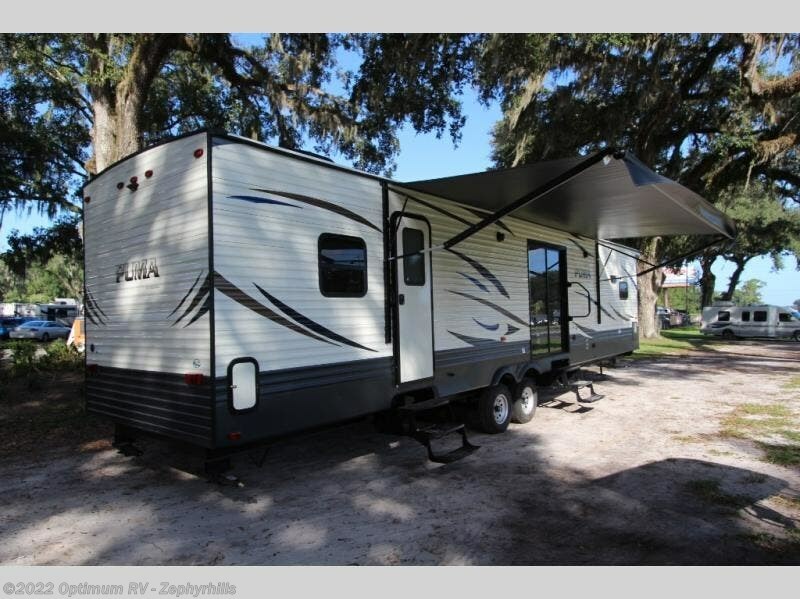 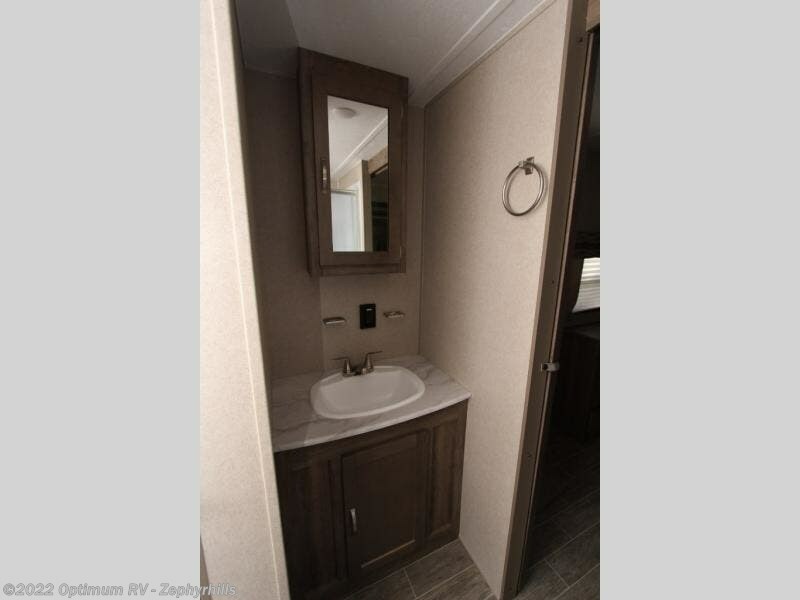 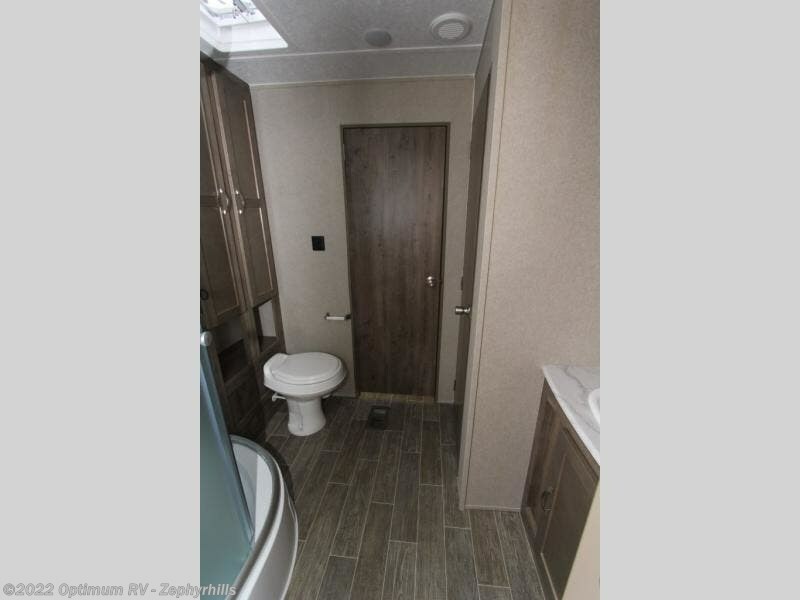 You will find many more standard features, and there are several options to choose from to make this the perfect destination trailer for you and your family. 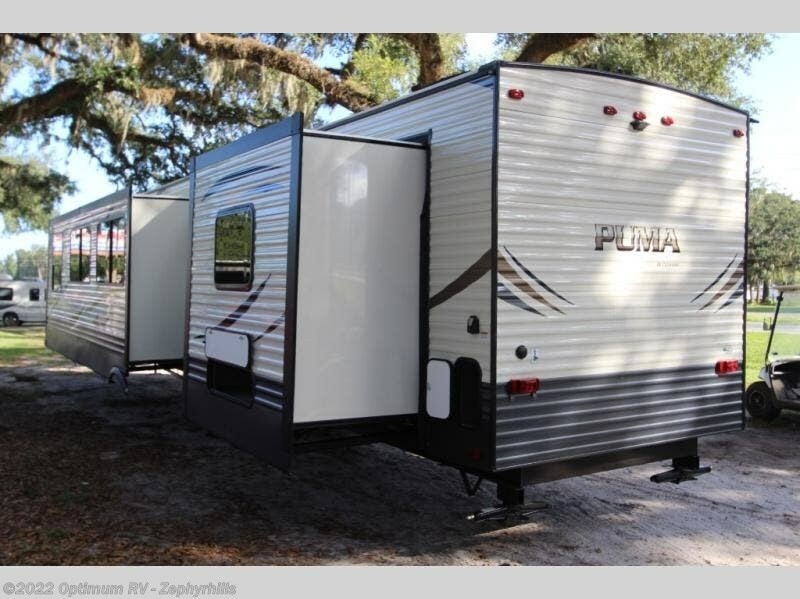 With any Puma Destination model you will appreciate the convenience of getting away from the hustle and bustle of your daily routine to your favorite location for many years to come. 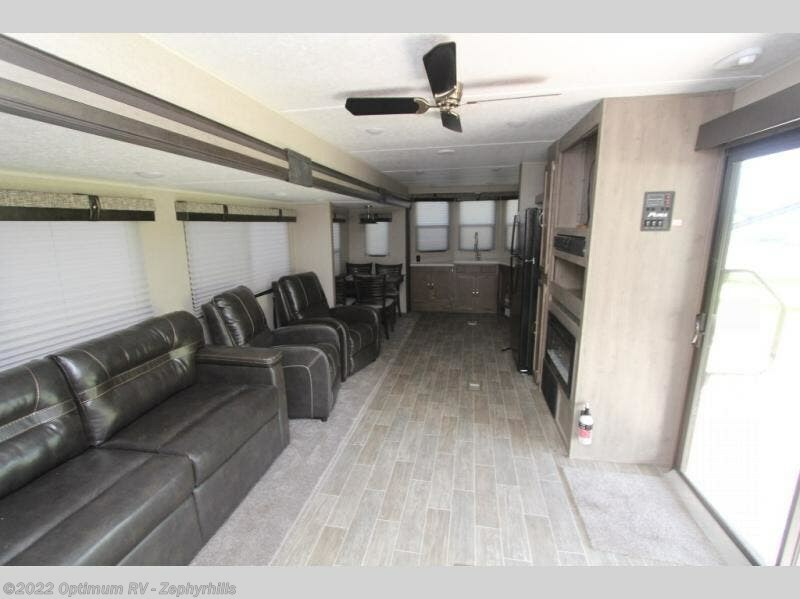 From the rubber roof with a 12 year manufacturer's warranty, the rain gutters with large drop spouts, and a Darco wrapped underbelly to double entry doors, a rack and pinion electric slide system with manual override, and Beauflor linoleum you might never go back home. 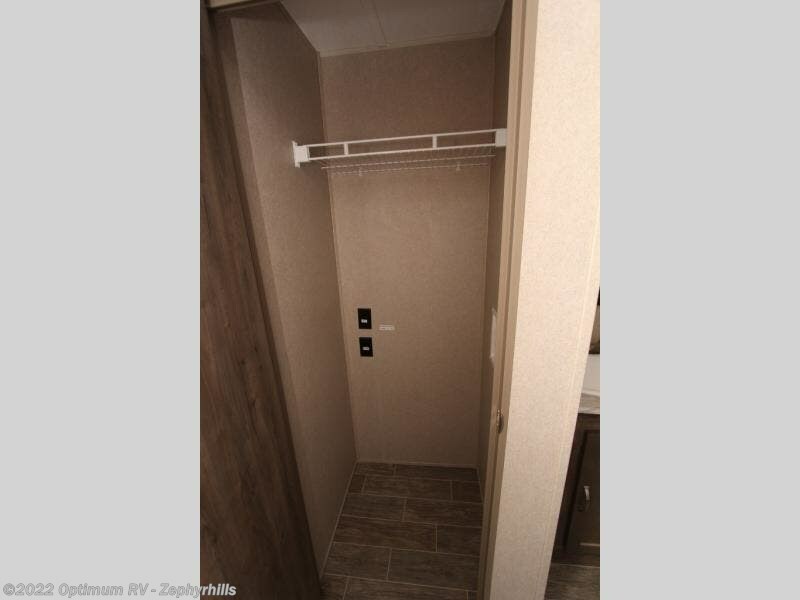 Come choose your favorite floorplan, and start your next vacation today! 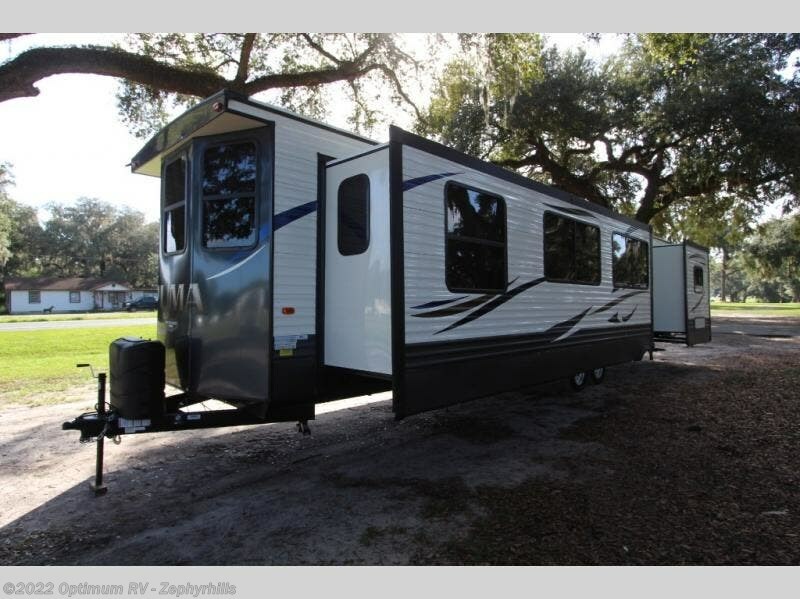 Check out Stock # 7PR412 - 2019 Palomino Puma Destination 39PFK on palominorvsource.com!